College loans ordinarily have a six-month grace period. A new graduate doesn’t have to worry about payments and can settle into a new job. However, the clock is ticking for those who graduated in June. The grace period will soon be over, and the bill arrives in the mail. It can be a shock to anyone’s financial wellness. 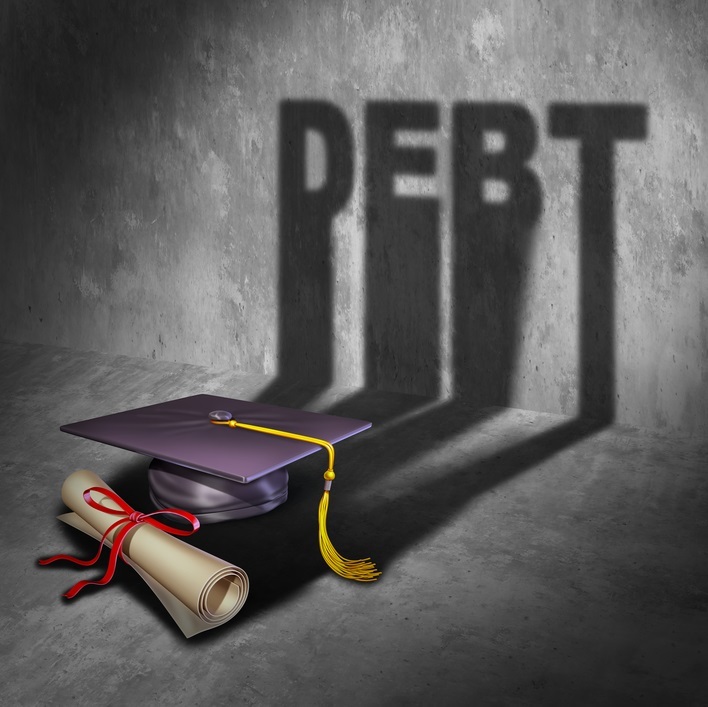 College graduates often have debt obligations the size of a house mortgage. It will take years to pay it all off and the monthly minimum is substantial. Those living from paycheck to paycheck are in for a shock. Many will use forbearance. It’s a bad idea since interest continues to accumulate whether forbearance is used or not. Countrywide Pre-Paid Legal Services wants to help folks get out of college debt traps. We have a financial wellness program that gives sound financial guidance. Those with financial concerns want to talk to a real person. Q&A pages on a website are not enough to relieve anxiety. Countrywide will allow a plan member access to certified professionals. These financial experts know the stress caused by a college debt and provide help. A face-to-face meeting with a counselor is an information sharing exercise. The counselor will perform a budget analysis to understand a plan member’s state of financial affairs better. He or she will suggest how to structure personal finances, so money is available to pay the loan. College loan programs will work with a person to modify payments. The counselor will explain all possibilities for reducing interest or the overall debt itself. The counselor respects the plan member and will not lecture or preach a sermon. Crafting the solution to a problem is the main goal. College loan debt is not the only problem employees face. Other employees might be dealing with high medical bills while still others have out of control debt. Countrywide has a variety of services to help others. The client gets to choose. We want our clients to get a maximum return on any benefits investment. Permitting choice lets organizations craft a plan benefit for all the workforce. Options which benefit older employees and those with young families can be selected. It doesn’t matter to us if not all our options are part of the plan. We want what is best for our clients. What is best includes superior member services. Countrywide financial wellness counselors are aware of our expectations. Emotional intelligence is high on our services and we want all plan members treated with courtesy. Our administration is designed to cut through any red tape and deliver prompt service. The commitment to quality is why we rank so high in the industry. Countrywide will go the extra mile for clients and plan members. The grace period of six months is not realistic. Hopefully, future reforms will allow for a longer grace period to permit a college graduate to settle into employment and make enough money to afford debt payments comfortably. But, until those changes happen, those same college graduates can use help. Countrywide financial wellness counselors can give information needed to calm the waters. Young employees appreciate what we do because it demonstrates how their employers are willing to help with a major problem. Such attention to a person’s needs will stimulate the type of morale and productivity every organization would love to have from its employees. You may have some questions about any of our financial wellness benefits. These are all intended to help your employees find solutions and resolve financial issues. We encourage you to contact us at your earliest convenience and find out more about how Countrywide has the best possible benefits.